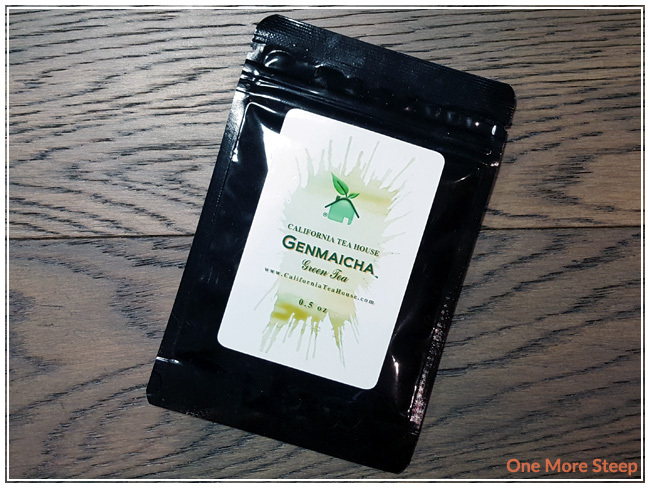 California Tea House has provided me with Imperial Gyokuro Genmaicha for the purposes of providing an honest review. 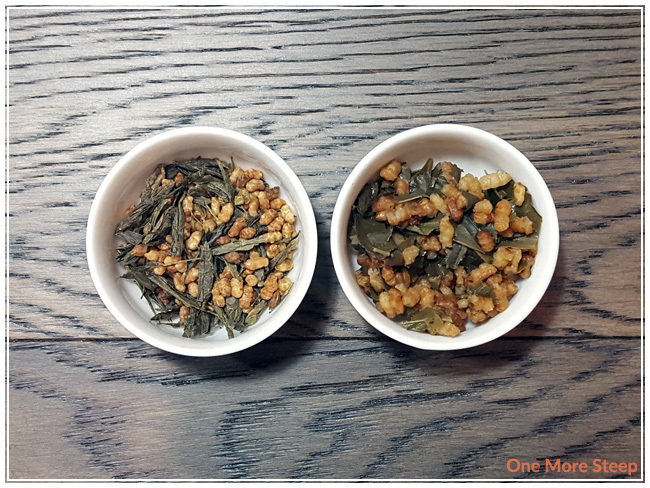 I love a good genmaicha – for those who aren’t in the know, genmaicha is a green tea with toasted rice. California Tea House has a little twist on this traditional Japanese green tea by using a higher quality green tea in the blend, they’ve used gyokuro (a high quality sencha) instead of sencha or bancha. Imperial Gyokuro Genmaicha came to me in a resealable foil bag that has a clear plastic side so I can see all of the tea. The aroma from the dry leaf is primarily nutty, the toasted rice is quite fragrant! 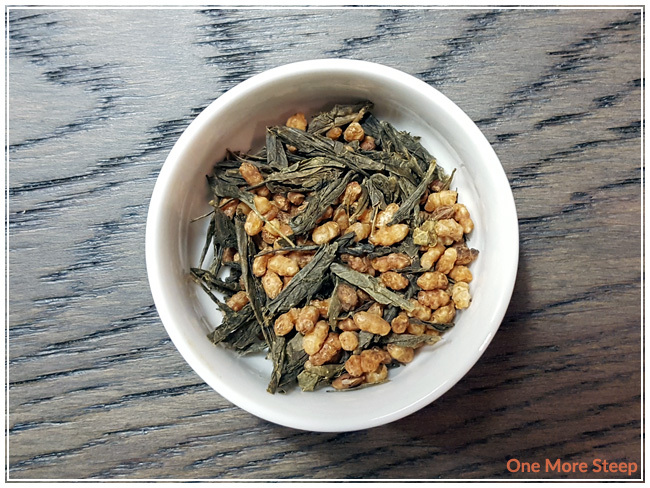 Imperial Gyokuro Genmaicha consists of gyokuro green tea and toasted rice. California Tea House recommends steeping Imperial Gyokuro Genmaicha in 180°F (82°C) water for 3-4 minutes. I opted to do an initial steep in 175°F (79°C) for 2 minutes. Imperial Gyokuro Genmaicha steeps to a pale yellow, the aroma that comes off from the tea is primarily that of the toasted rice. I found the tea to be pleasantly sweet, with a hint of nuttiness and just a touch of vegetal goodness that reminds me a lot of gailan (Chinese broccoli). 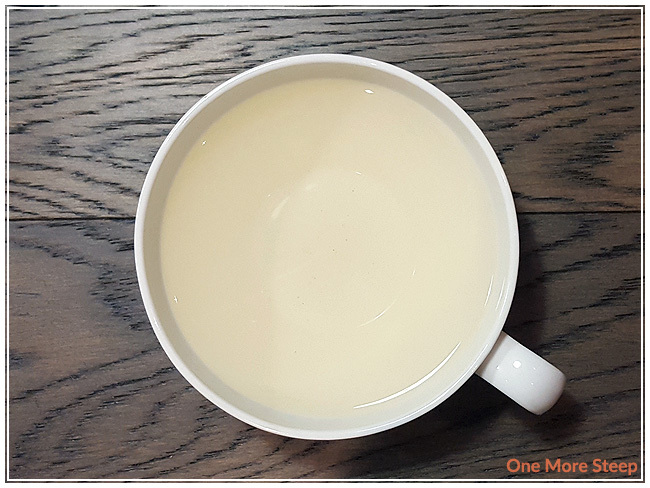 It’s a very pleasant green tea – there’s a smoothness to the tea that makes for a nice mouthfeel, and there’s zero bitterness at the temperature and length of time that I opted to steep this green tea for. 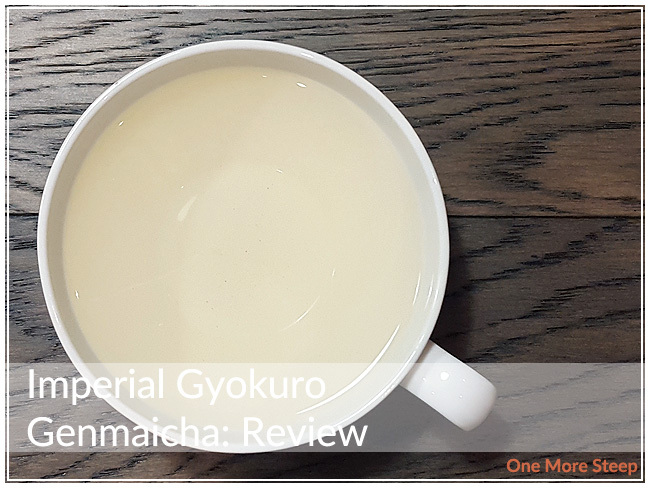 I resteeped Imperial Gyokuro Genmaicha a total of four times (five steeps total), and I increased the steeping time by 30 seconds for each subsequent steep. I found that the colour deepened for the first two resteeps, and started to get paler for the last two resteeps. The flavours intensified as the colour of the steeped tea darkened. The nutty sweetness from the toasted rice remained present throughout all of the steeps and the tea remained smooth. I loved California Tea House’s Imperial Gyokuro Genmaicha. I found this twist on a classic Japanese green tea to be quite pleasant. I really enjoyed the nuttiness and sweetness that I found in the flavour profile, and it resteeped well. The vegetal flavour of gailan was a nice surprise, and it was provided a nice savoury green tea base to go with the toasted rice, which made it quite tasty.